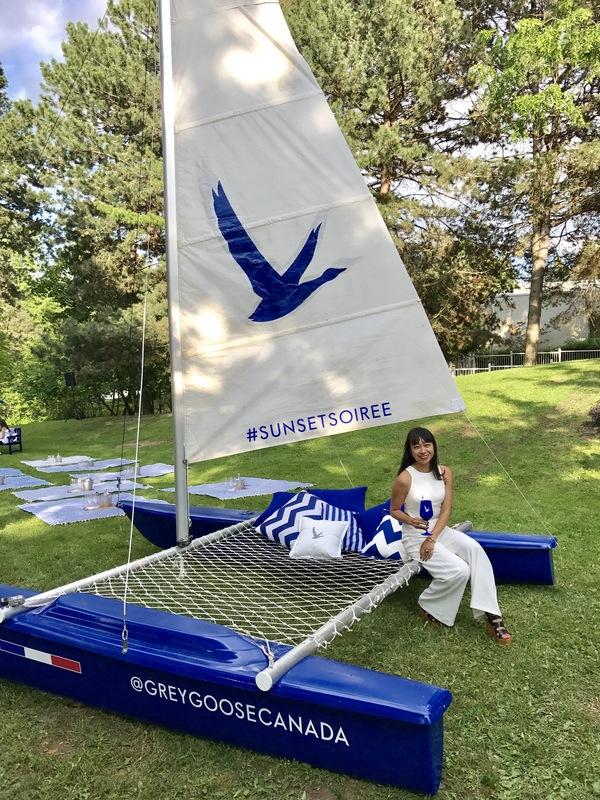 Last week, I attended the Grey Goose Sunset Soiree in Toronto. 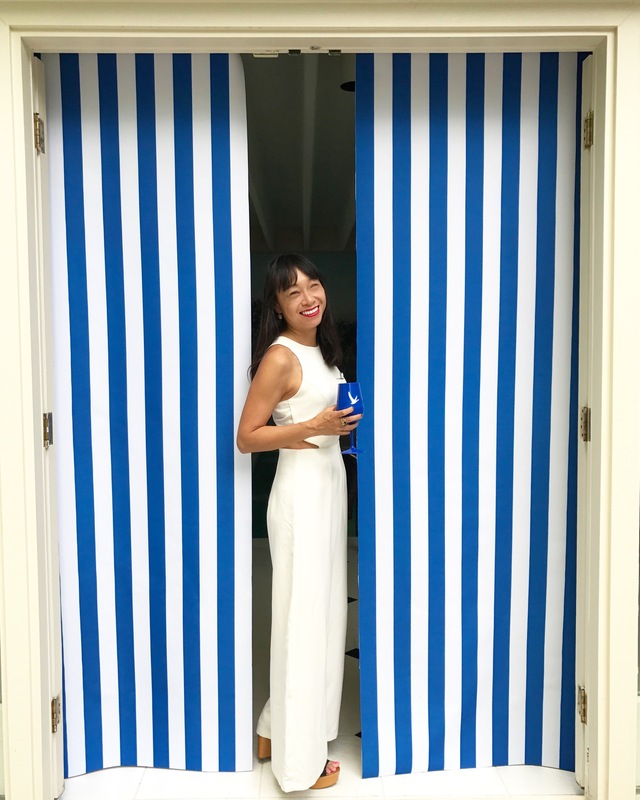 I had so much fun at lunch and the party at night last year on the island, that I knew I didn’t want to miss this party! 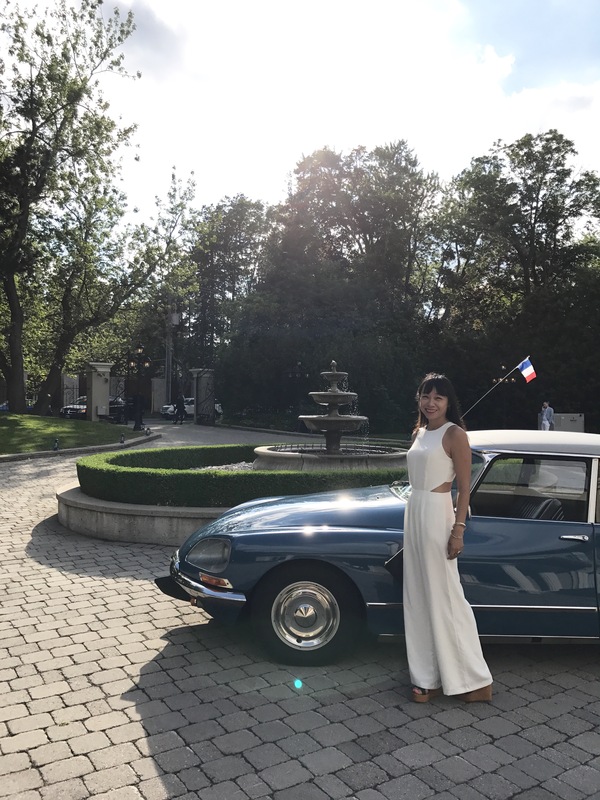 This year, the dinner was an intimate picnic held at a private home on the Bridle Path, complete with fountain and vintage car at the entrance. Chef Justin Kent was flown in from Paris to prepare the elegant picnic. 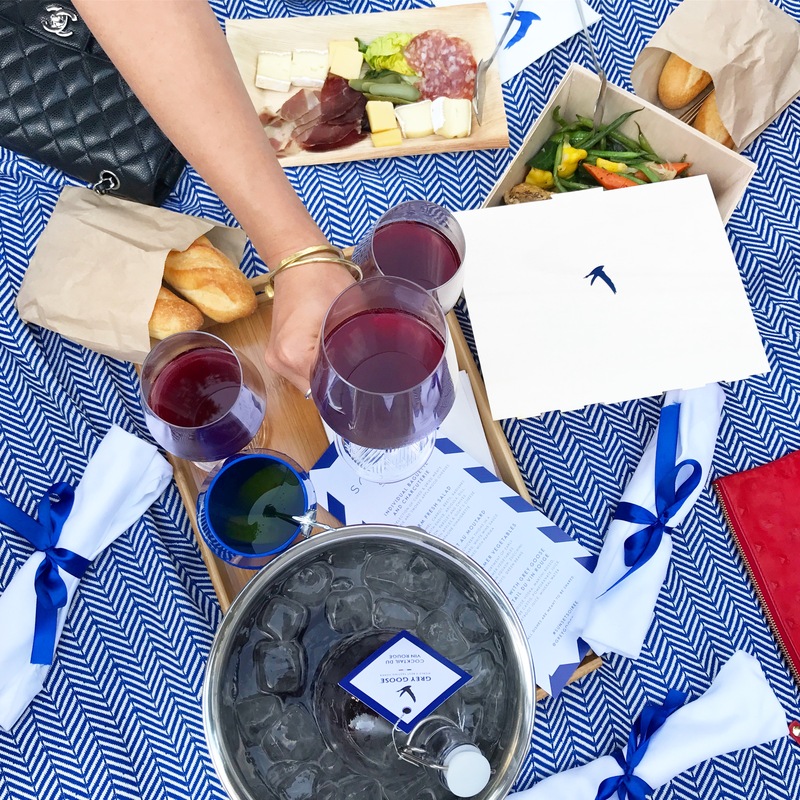 At his restaurant by the Eiffel Tower, he provides custom picnic baskets packed with everything you need, which sounds just wonderful, I must get back to Paris and do this! After cocktail hour, we all settled on the picnic blankets and nibbled on cheese and charcuterie, and sipped the refreshing wine cocktail (which was made with Grey Goose Original, Martini Rosso, Gabriel Boudier Créme de Cassis, POM Wonderful Pomegranate Juice, Beetroot Juice and mineral water). It was the main course of poulet au moutard that stole the show, though. I normally find chicken quite boring, and it’s not something I’d typically order at a restaurant, as I often find chicken bland (I mean I’ll have it in a gyro or fried, but I’ll pretty much never order the chicken breast entree). En moutard, though, and juicy chicken thighs? So flavourful. I had to get the recipe! I don’t have any photos of the dish because we pretty much all dug right into the meal, heh heh. Here is how to make this lovely chicken dish, I plan to make it for my next picnic in the park. Chef Justin’s noted that the sauce works as an insulator to help keep the meat warm for longer, meaning you can enjoy a warm picnic lunch! sear on the other side until lightly caramelized. 3. Remove the chicken thighs from the pan and set aside on a plate. 4. Add lardons to the pan and cook until crisp. 5. Add shallots to the pan and cook until translucent. 6. Add the grain mustard and stir for 30 seconds being careful not to let it burn. 7. Deglaze the pan with white wine, bring to a simmer and reduce by half. 8. Add cream and bring to a simmer. 9. Add the smoked paprika. 10. Place the chicken thighs back in the sauce and cook on medium to medium-low heat, covered, until fork tender. 11. Remove from the sauce and place onto the plate to serve. 12. Spoon sauce over the top of the chicken and garnish with chopped parsley. They set off white geese balloons at dusk, and we sipped Grey Goose cocktails in this gorgeous green backyard on the warm summer night (we lucked out with the rain holding off!). 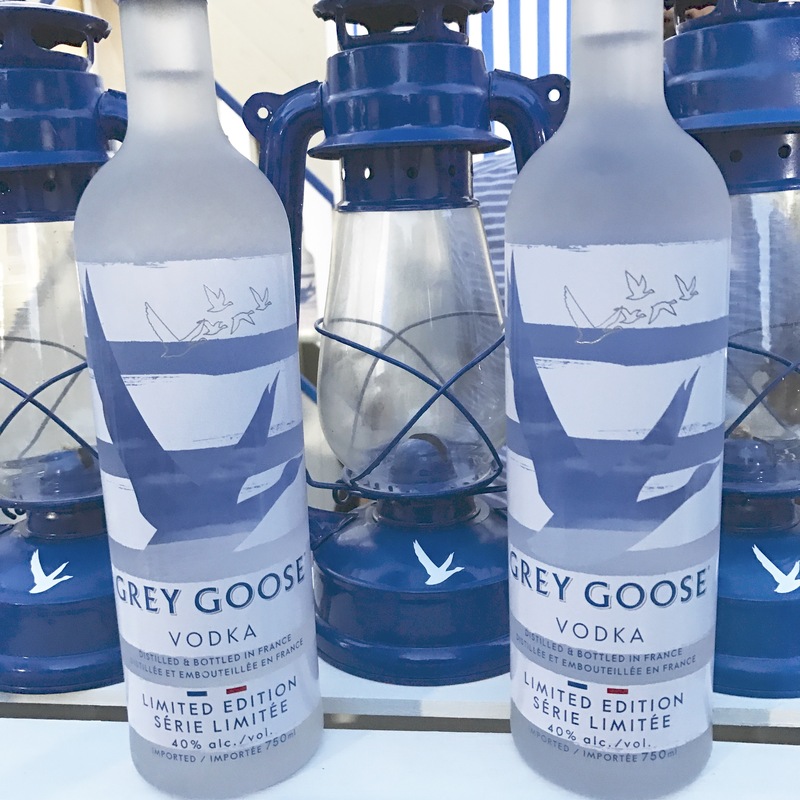 Now having attended two stellar summer parties with Grey Goose, I can’t wait to see what next year’s soiree is!